Midtown Barstool. 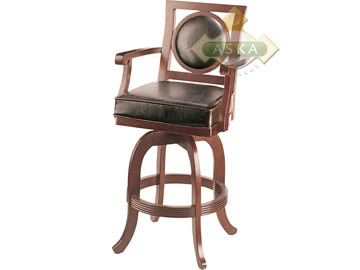 All HJ Scott barstools are crafted with quality in mind. Quality details include high-quality American red oak, birch or maple construction, a unique double-washer system that keeps screws in place permanently, brass screw inserts that makes HJ Scott furniture easy to assemble and fully finished cue holes. HJ Scott uses only true American stains and lacquers in colors matching stains used by the four top billiard table manufacturers for a quality finish you're sure to notice. 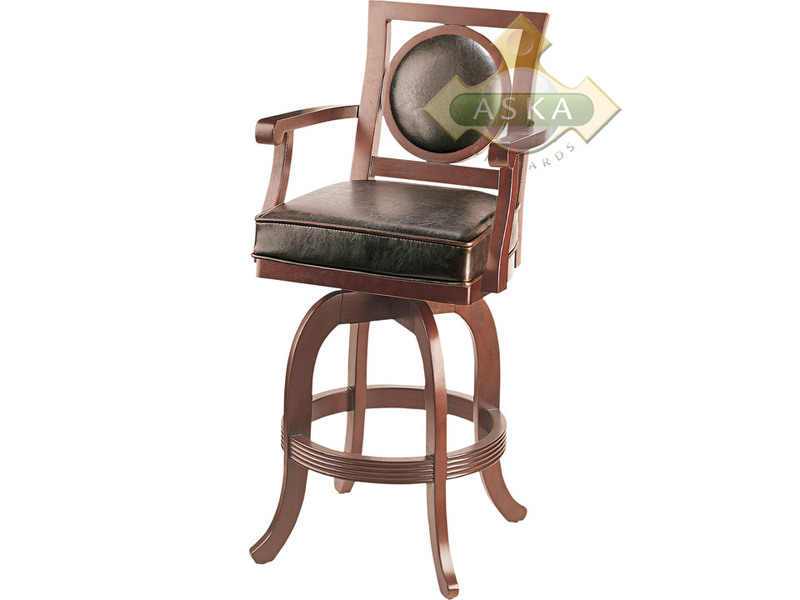 This designer-inspired barstool is available in high-quality black bycast fabric only and features a made in the USA Trendler swivel with lifetime guarantee.